Amstrad CPC 464 Computer Base Unit ONLY no Monitor. Condition is Used. Dispatched with Royal Mail 2nd Class. Here we have a fully serviced Commodore 64 Breadbin boxed, with a fully serviced and boxed C2n Datasette unit. The breadbin has no evidence of yellowing but does have the odd mark. It loads even the most fussy of my test tapes! Amstrad CPC 6128 Computer. If collected will have to be cash on collection. 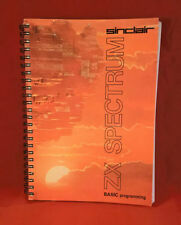 New listingSinclair ZX Spectrum Spanish 128k +2a. Refurbished. PSU. Fully working. Spanish Spectrum 128k 2a. Espectro español 128k 2a. This Spanish Spectrum is fully working and is in excellent condition. This is a really clean Spectrum which works perfectly. Unido de 3 pines como uno de 2 pines. Working BBC B computer. This mod is shown in the picture and mounted on a board in the rear left of the machine - I can remove this for you if you prefer but it has no effect on normal operation of the machine. tatung einstein. Collection in person only. Here we have a fully serviced Commodore 64C/E which is in superb condition. The CPU, VIC and SID have all been heatsunk and the unit has been harness tested. The user port and tape port have hardly been used. I have had this for a few years but am never going to get round to doing anything with it! Sadly the badge on the front is missing. Vintage IBM Portable Personal Computer 5155 which is still working ok but please bear in mind the computer is around 40 years old now. The keyboard is ruff though and has been apart and put back together again. I had somebody take a look at the computer and they wrote down the following info which I have included in the last picture. 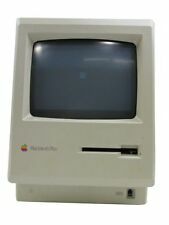 The computer is around 40 years old so please don’t bother to bid if you are expecting it to be in mint condition still. There are some marks and wear and tear here and there so please see all of the pictures for the overall condition Dispatched with Parcel force 48hrs UK postage only please. Thanks. The CPU, VIC and SID have all been heatsunk and the unit has been harness tested. The keyboard is responsive and clean, the whole thing is in pretty good condtion. This unit/item(s) works 100% as described and in the event of any problems I will do all I can to help. 420Mb Hard Drive. 1Mb Diamond stealth PCI graphics. 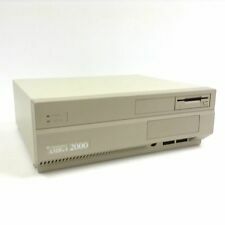 An old 486 computer. I've wiped this and installed MS-DOS 6.22 from floppy disk. 8MB RAM board for Commodore CDTV Computer. Plugs into Diagnostic slot and RAM is automatically added to system. And here we go the external SD/Micro SD drive for the Next, simply remove any installed SD card from the system board, plug in to J13 and away you go. C: SD & D: SD. C: Micro SD & D: Micro SD. C: SD & D: Micro SD. AND MONITOR BOTH ARE UNTESTED. ONCE PAID I SHALL DISPATCH SAFELY AND SECURELY. Dragon 32 Computer, accessories and 11 games. 2 Joysticks, Vintage.. Condition is Used. Dispatched with Royal Mail 2nd Class. Complete with manuals and disc drive. Note that the disc drive runs but I don’t have any compatible discs so not tested. 1x Serviced/tested Amstrad 6128 Plus computer with AZERTY keyboard. Works perfectly! "Perfect.". I validate the positive experience because very professional . The keyboard has been carefully cleaned with a antibacterial cleaner. For Sales is a Commodore 64 Computer. C64 COMMODORE 64 BREADBIN Computer. If collected will have to be cash on collection. This TZX block has not yet been adapted to TZXDuino yet and mostly occurs with CDT files. tzxduino works with the Zx Spectrum, ZX81 and Amstrad and acts like a tape deck. TZXduino / Casduino. To load Spectrum, ZX81 and Amstrad files you need to have the Tzxduino firmware installed. ZX Diag V0.36 It also has a joystick port, which the Joystick Emulator can be connected to. The Joystick Emulator can also be used with other joystick ports, from the website This is a board which you can plug in to a computer or other device in place of a 9 way D Atari / Commodore style joystick. SD Card Interface for the Acorn Electron. Plugs directly in to the Electron's expansion port, no extra hardware required. The most affordable SD card interface for the Electron. Uses standard SD or SDHC cards, up to 8GB. This is the latest Gotek floppy emulator for retro computers with 3.5" floppy disk drive bay, or for use externally or in a caddy. This will also work Amstrad / Spectrum or computers with 3" disk drives or old PCs with 5.25" drives and such. Amstrad ppc 640 portable computer Tested with batteries and fully working good overall condition. Computer only. Tested working with no issues. 1x Serviced/tested Amstrad 464 Plus computer with AZERTY keyboard. "Perfect.". Works perfectly! I validate the positive experience because very professional . The keyboard has been carefully cleaned with a antibacterial cleaner. Testing : The Disk was tested with a CPC464 Computer and attached DDI-1 Drive. Section 4 - Integral Editor. Section 4.3 - Use of Editor. The contents of the Ring Binder Manual is illustrated by the 6 attached sample photos, comprising :-. Pins on ROMS are not bent - in great condition. In excellent condition with original Quest Paint ROM and Con-Quest ROM and support disks with manual. Vintage Psion Series 3a Palmtop Handheld Computer PDA 1MB plus accessories - used in good condition, has been PAT tested and is working. You will get: -Psion 3a PDA with black case and charger - Psion 3a user Guide - Psion Series 3a 3 Q A booklet. Amstrad DMP3160 Printer. Collection only, South London. No Monitor. Condition is Used. Computer magazines are issue 1-24. New listingZx spectrum, 2 x spectrum 3, massive games bundle, 128k action Pack. AMAZING. Eagles Nest. Battle of the Planets. Power Drift. Nightmare Rally. Recorded tapes (for spectrum 2) Battle of Britain. Premier League. Treasure Island. A bundle of Commodore Amiga software as shown. The ZX ProPad has been put together on what the community want, simple, extra buttons and an Autofire function. The ProPad also features a simple yet effective Autofire function which will be provided at about "15 presses" per second but can be altered slightly if desired. Psion Series 3c with 2Mb ram and manual. Seven, Assorted Vintage AMD and Intel processors CPU.